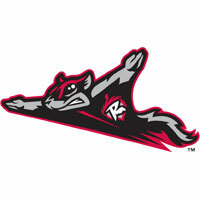 The Richmond Flying Squirrels (47-34) improved to 13-0 on Sundays during the 2014 season with a, 4-3, win over the Bowie Baysox (44-38) on Sunday afternoon at The Diamond. The Baysox had already claimed the series victory, taking three of the five games. The Squirrels jumped in front with an unearned run plated against lefty Eduardo Rodriguez in the top of the first inning. Tyler Graham sparked the inning with a lead-off single to right field. An out later, Matt Duffy walked. Graham then swiped third base. As he did, the throw from catcher David Freitas was errant into left field. Graham scored on the error for a 1-0 lead. Bowie pulled ahead with a pair of runs against lefty Ty Blach in the top of the fourth inning. Blach started his own issues with a lead-off walk issued to Michael Ohlman. An out later, David Freitas singled to put two aboard. Former Squirrel Sharlon Schoop followed and tied the ballgame, 1-1, with a single to right-center field. The Baysox then took the lead, 2-1, when David Adams singled on the infield. Richmond hurriedly reclaimed the lead and forced Rodriguez from the ballgame in the bottom of the fourth. Tyler LaTorre triggered the inning with a one-out double into the left-field corner. Ricky Oropesa followed and knocked him in with a single to right field. Rodriguez notched the second out, but then issued back-to-back walks to Graham and Kelby Tomlinson. Duffy put the Squirrels back in front, 4-2, when he followed with a two-run double to center field. Rodriguez (3-5) departed following Duffy’s single and was saddled with the loss over 3 2/3 innings. He was charged with four runs – three earned – on six hits. He walked four and struck out three. Blach (6-4) lasted five innings and earned the win, conceding only the two runs in the fourth. He permitted seven hits, walked two and struck out two as he won for the sixth time. The Richmond bullpen took it the rest of the way as four relievers combined to hold off the Baysox. Right-handers Andrew Carignan and Hunter Strickland each worked a scoreless inning. Lefty Phil McCormick surrendered the final Bowie run of the day in the eighth inning, but kept the Squirrels in front, 4-3. Right-hander Cody Hall then worked a perfect ninth inning to earn his ninth save of the season. The Squirrels will travel to Harrisburg, PA, to open a four-game series with the Harrisburg Senators (Washington Nationals) on Monday night at Metro Bank Park. First pitch of the opener is scheduled for 7:00 p.m. as Richmond LHP Jack Snodgrass (8-1, 2.81) will make the start against Harrisburg RHP Brian Dupra (1-3, 5.31). The Flying Squirrels Pregame Warmup begins at6:30 p.m. on Sports Radio 910 and SportsRadio910.com.